Our uniformed staff have been trained by the British Window Cleaning Academy and are fully insured. This gives our customers the peace-of-mind that a professional service will be provided whilst complying with current Health & Safety legislation. We employ the very latest in window cleaning technology by using The Reach & Wash® water-fed pole system. Inside each Pro-Smart van there is a water purification system that processes water through 5 different stages of filtration that removes all minerals and dissolved solids to produce 100% PURE de-ionised water. This pure water is then pumped through extending poles to the brush-head at the window. After rinsing the window the pure filtered water leaves no residue or streaks on the glass as it is left to dry. Now that is smart thinking! Our system also ensures safe working from the ground with no ladders to damage walls, guttering or paintwork. There is no need to climb over porch roofs and no-one will trample over flower beds. By working from ground level your privacy is maintained as well. Pro-Smart provides window and conservatory cleaning services in and around Evesham, Pershore, Bidford on Avon, Ashton under Hill, Childswickham, Sedgeberrow, Honeybourne, Bretforton, Badsey, The Littletons, Offenham, Harvington, The Lenches, Fladbury, Charlton and Cropthorne. 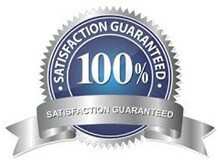 We run a professional window cleaning business and customer satisfaction is our main priority. The price we agree with you is for the cleaning of the glass, the frames and the window sills. We will do our very best to come as often as you want us to. To make that possible the windows will be cleaned at the interval agreed upon regardless of the weather. We offer regular window cleaning contracts to the commercial sector including; offices, industrial units, hotels, care homes, retail outlets, car and furniture showrooms etc. Our high-reach poles mean that we can clean windows as far up as 65ft without any ladders. We also clean interior windows and glazed partitions as well as external fascia and cladding. Site-specific method statements and risk assessments are produced for each contract. Upon your request we can clean the exterior roof glass or polycarbonate on your conservatory or orangery. This would be at specified intervals or as a one-off clean when asked to do so. We would normally first utilise a light detergent containing algaecide to clean off the green slime and lichen that builds up on the roof panels and trims. The Reach & Wash® water-fed pole system ensures that in most cases we can get access to the conservatory roof without the need to climb over it. We are often asked by our customers to perform a one-off “House Valet”, which involves the cleaning of all the external glass and plastic e.g. windows, frames, sills, gutters, soffits, fascias, garage doors, conservatory roofs etc. This may be for a special occasion such as a celebration party or BBQ or just because you want to treat your home to a makeover. Give us a call and we’ll give you a quote!